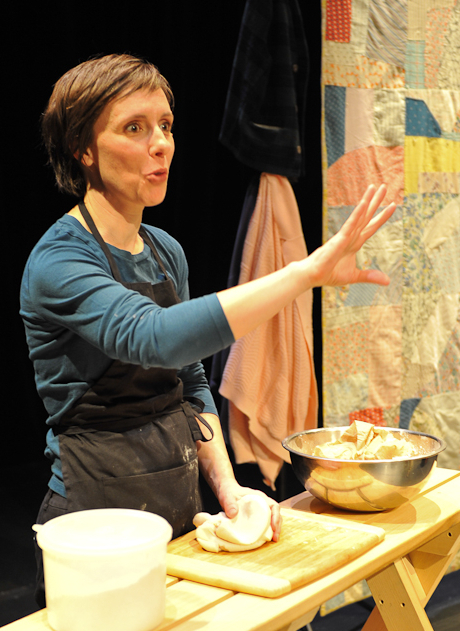 Piecework: When We Were French — the moving and hilarious one-woman show by writer and performer Abby Paige. 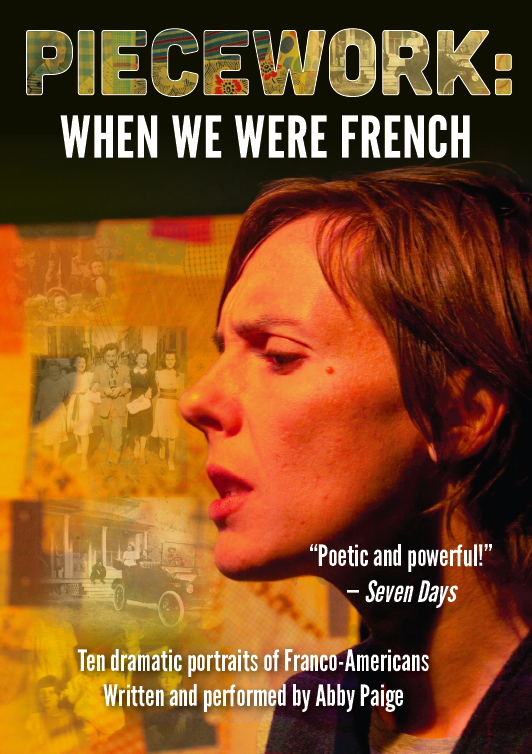 Based on extensive research and interviews with Franco-Americans, this powerful and delightful performance explores the legacy of more than a century of French-Canadian immigration to New England and how our stories, memories, and secrets make us who we are. History comes in pieces. We stitch them together. NEW: STREAM THE SHOW ON DEMAND! I’m excited to finally offer Piecework: When We Were French for streaming, by rental or purchase. Click here to learn more. PURCHASE YOUR COPY ON DVD! JUST $20! Orders processed via Paypal in US currency. Ships from Canada. Allow 1-2 weeks for delivery. Even more old-fashioned? To place an order by other means, please write to emailabbypaige[at]gmail.com for assistance. Piecework: When We Were French was originally commissioned for the 2009 Champlain Quadricentennial Celebration in Burlington, Vermont, to honor the influence of French-Canadian culture on the region and to represent the experiences, joys, and yearnings of Franco-Americans. Between 1850 and 1950, hundreds of thousands of French-Canadians immigrated to the United States. 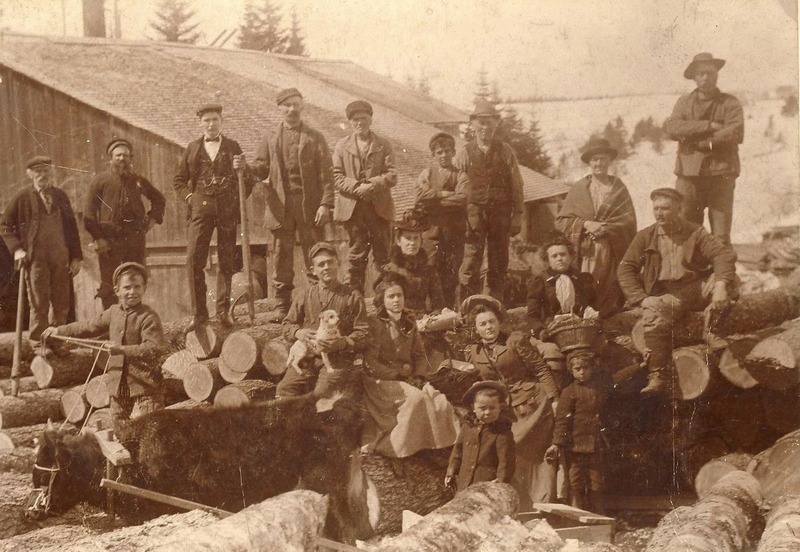 Often traveling by railroad, they flocked to the industrial centers of New England in search of jobs, prosperity, and brighter futures for their children. Some returned home with the fruits of their labor, but many stayed, building churches, schools, and communities, and influencing local culture in ways that can still be felt today. Yet, like all immigrants, our francophone ancestors adopted new traditions as they adapted to their new home. While Franco-American identity was once defined by a strong connection to Quebec, dedicated involvement in the Catholic Church, and of course, use of the French language, that identity evolved, and continues to evolve with each new generation. Who is Franco-American today? Many “French” families no longer speak French. Some maintain few ties to Quebec or to the Catholic Church and have few surviving cultural traditions. Yet many also still feel the pull, pride, and importance of their heritage and continue to preserve it through family stories and by clinging to a single scrap of their cultural past: a beloved song, a family heirloom, a cherished photograph, or Meme’s recipe for tourtière. Piecework: When We Were French began with a series of exploratory interviews with Franco-Americans, who generously shared their family histories and cherished memories. 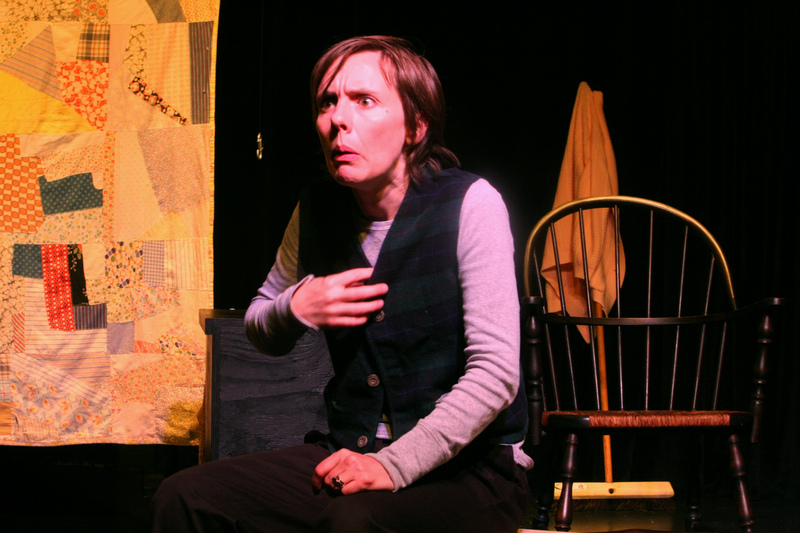 From their contributions, historical research, and her own experiences, playwright and performer Abby Paige created ten dramatic portraits of characters with unique feelings, questions, and secrets about their heritage. Through their monologues, Piecework: When We Were French explores how we remember, what we choose to forget, and how we piece together the present from the scraps that are handed down to us by preceding generations. NOW ON DVD AND VOD! 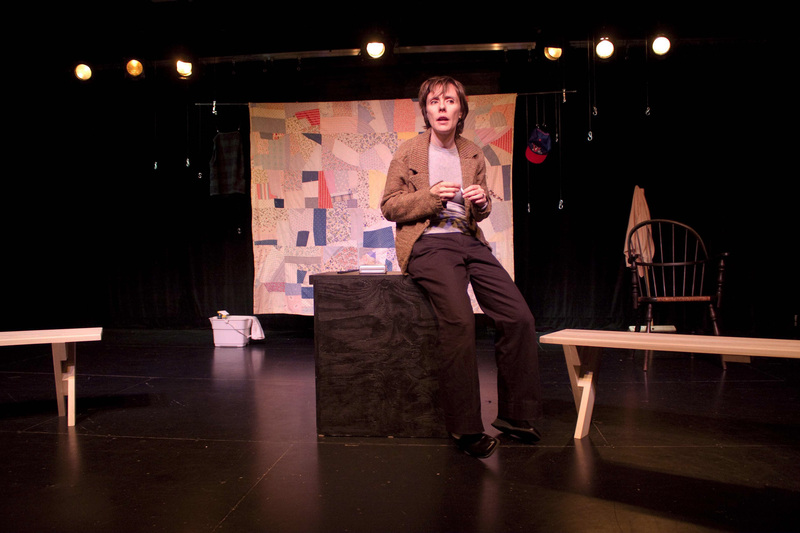 After its 2009 premiere, Piecework: When We Were French toured to towns throughout Vermont and New England, finding enthusiastic audiences and creating discussion about communities’ pasts and futures. Now, to make the show accessible to even more audiences and continue those valuable discussions, the show is available on DVD and VOD (video on demand)! During our 2013 fundraising campaign, more than 100 generous donors stepped forward and helped us to exceed our goal. Their support made it possible for us to record a weekend of live performances at Lost Nation Theater in Montpelier, Vermont, and create a DVD version of the show available now to individuals and community groups who are interested in exploring their heritage and discussing their community’s history. Order your DVD copy — or [NEW!] the streamable on-demand version — at the top of this page! ABBY PAIGE is a poet, playwright, and performer who was born and raised in South Burlington, Vermont. She began her career as a stand-up and sketch comedian in San Francisco, and in 2003 moved home to Vermont to work on The Voices Project, a documentary theater project about the lives of Vermont teens that she co-wrote, co-directed, and co-produced. Abby has appeared in several productions at Montpelier’s Lost Nation Theater (Judevine, Tartuffe), in Jay Craven’s TV comedy series, Windy Acres, and recently in Craven’s radio variety show, Queen City Radio Hour. Abby received her BA from Vassar College and her MFA from the Bennington Writing Seminars, and she is a former Fulbright Scholar. KOBY ROGERS HALL is a creator, performer, and director of new works. Born in Burlington, Vermont, she is the Co-Founder and Artistic Director of Mischief Theatre, a performance collective based in Montreal. Her recent projects include Nothing Like the Sun, Lady J, and Bordering, a documentary theatre piece about immigration policy in Canada. Koby has collaborated with companies across Canada, the U.S., and Eastern Europe, most recently with bluemouth inc. for the interdisciplinary Dance Marathon and with Arden2 for the Year of Grotowski 2009. Koby is a recipient of the Government of Canada Millenium Award for innovation in her field and the Zonta Club of Ottawa Emerging Artist Award. She holds a BFA Honours specialized in collective and new play creation from York University in Toronto and an MA from the Tisch School of the Arts at New York University.